Go Me!! My Sunday photo or should I say photos!? I have already started my kitchen makeover plans. I have successfully cut up my worktops to make a kitchen island!! Go Me!! 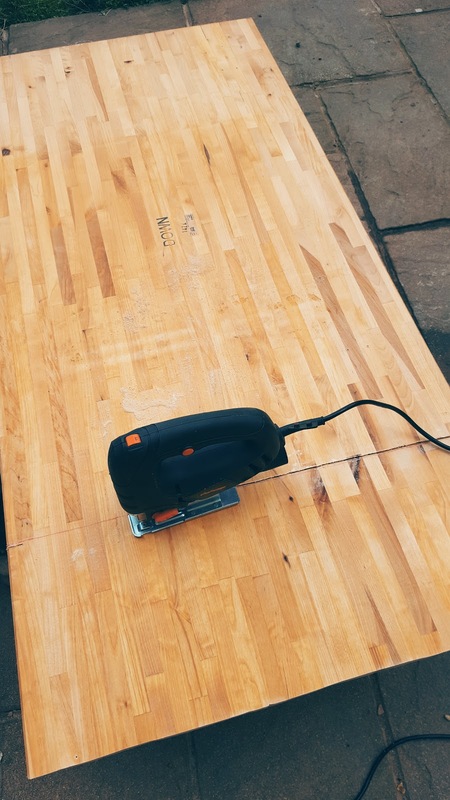 I was very nervous cutting this worktop up, I can tell you. My hands were shaking and not just from the electric saw. I was worried about cutting it up wrong. Or measuring it up wrong so I cut it up wrong!! If you know what I mean. No worries though, it was spot on. Now for making my kitchen island up. Hopefully, that will go smoothly too. I love doing DIY jobs and getting all crafty, but not if they go wrong. It could work out very expensive if it goes wrong. Thankfully this idea did not go wrong. 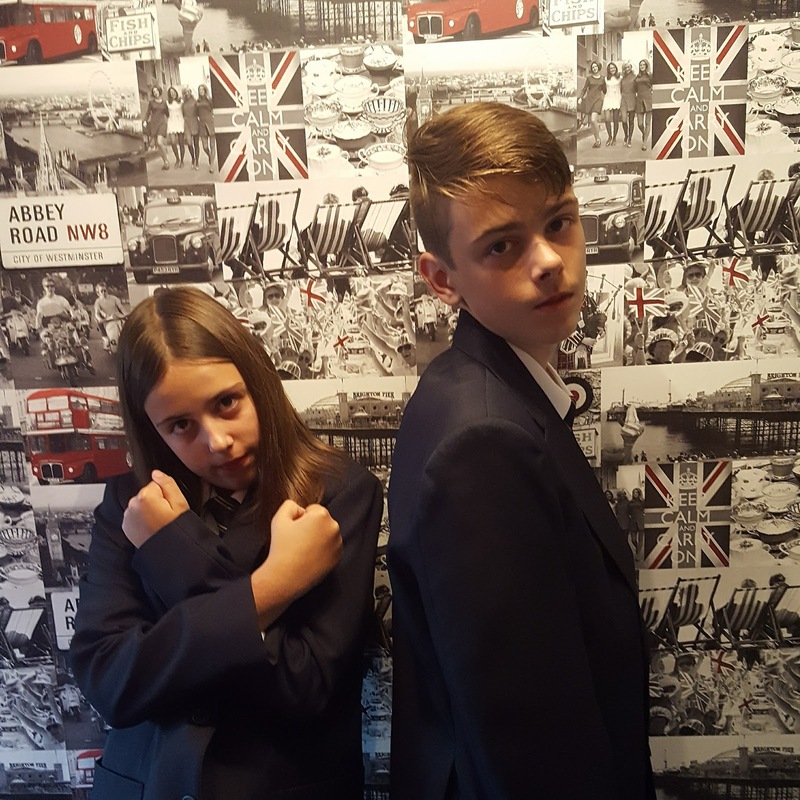 Today I was going to share a back to school photo but after 6 weeks off school how do you get your kids to smile at the thoughts of going to school and doing lots of work again? Lol! No way was they please about going back. Oh go on then, I will still share a picture with you! My baby is not a baby no more. She has just started secondary school!! How can this be? Time sure does fly.I will miss walking her to school now. I am jobless. Time really does fly! My older boys are both at Uni too. Do you like DIY jobs? Do you always achieve what you set out to do or have you ever done a job wrong and it worked out expensive? I would love to know! Linking up with: My Sunday photo. Go Me!! My Sunday photo. What Sunday photo will you be sharing today? Do not forget to stop by for my creative Monday blog hop. You can link up and share your creative and crafty posts with us. "Lemon And Blueberry Cheesecake: Afternoon Tea"
Love the back to school picture. Good luck with the kitchen. Well done on the kitchen! Hope they're enjoying school! We're about to start painting our kitchen cabinets. I love your new work tops! The kids look adorable! Looking forward to seeing finished kitchen pics ..good luck !! !